Under Fire: The Story of a Squad , by Henri Barbusse, 1917. Mélenchon’s patriotic tones may sound odd to British ears (as, indeed, may those of Bernie Sanders or Pablo Iglesias). But the Resistance, the Revolution, and the Commune figure far larger in French public life than the Chartists or Diggers in Britain. The Left’s own French-republican tradition owes not (as Dan tells us) to some desire to deny that Vichyite Nazi-collaborators were indeed French, or that France has committed colonial crimes, but the attempt to marginalize chauvinist narratives of French identity. Historically, this has led to many sins of omission. 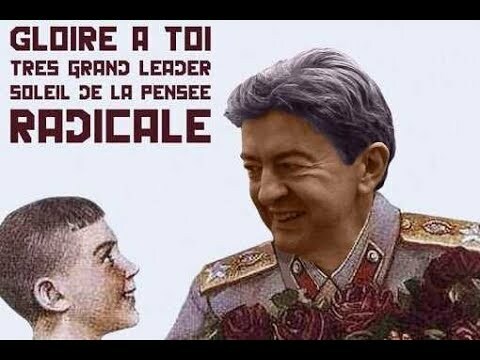 And yes, Mélenchon should be scrutinized for his failings just like anyone else. But it is mean spirited and not a little bit silly to judge France Insoumise, or its leader, by assembling a series of clipped quotes and assertions of guilt by association. Was Jeremy Corbyn not himself subject to such a campaign, just a fortnight ago? I don’t agree with everything that Jean-Luc (or Jeremy) says either. But a politics of solidarity starts from the future we want to build in common. « Tariq Ali Joins the Labour Party.